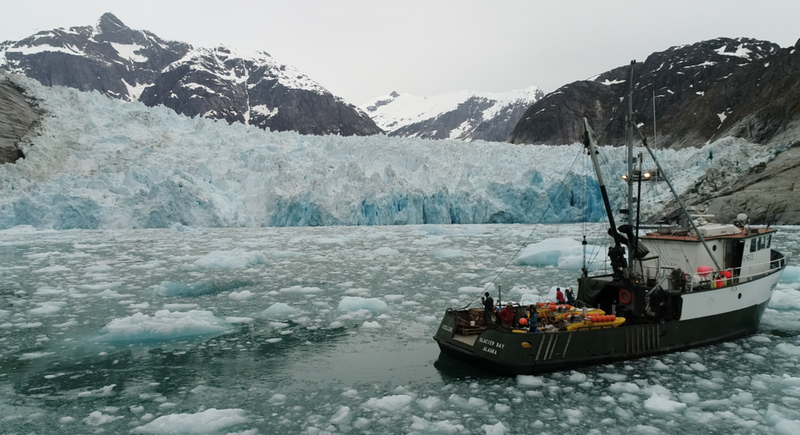 How does the ocean affect glaciers and ice sheets? And, vice versa, how do glaciers and ice sheets affect the ocean? We explore those fundamental questions at various time and space scales with a focus on understanding the processes that underpin ocean/ice coupling. We have collected hydrography and ADCP data via ship, as well as time series data of water properties and water velocity from subsurface moorings. These data will be made available ASAP for Sermilik Fjord and Kangerlugssuaq Fjord in SE Greenland, and Rink Isbrae and KS Fjord in west Greenland. We use idealized numerical simulations, informed by observations, to study the dynamics of tidewater glacier fjords. In particular, we commonly use the MITgcm with several ice modules active. Depending on the research question, we run our simulations at various resolutions, focusing on fjord-scale circulation down to the rising convective subglacial discharge plume. We have collected imagery of the underwater portions of tidewater glacier termini and icebergs. This is the literal ice/ocean boundary and imaging its shape and evolution is leading to exciting new knowledge.